Bone broth has taken the health and nutrition world by storm. It’s no wonder as this old-age practice provides heaps of benefits, such as aiding joint, gut, and bone health, supporting weight loss, and decreasing inflammation. But here’s the problem: while bone broth can boost your vigor and well-being, many people are turned off by the complicated recipes and the time it takes to prepare this nutritious liquid. ​In this unbiased article, you’ll discover the best bone broth supplements on the market, so that you can upgrade your health and energy levels while saving time and energy and preparing it. Let’s dive in! In a rush? Jump to this section for Our #1 Bone Broth Recommendation! 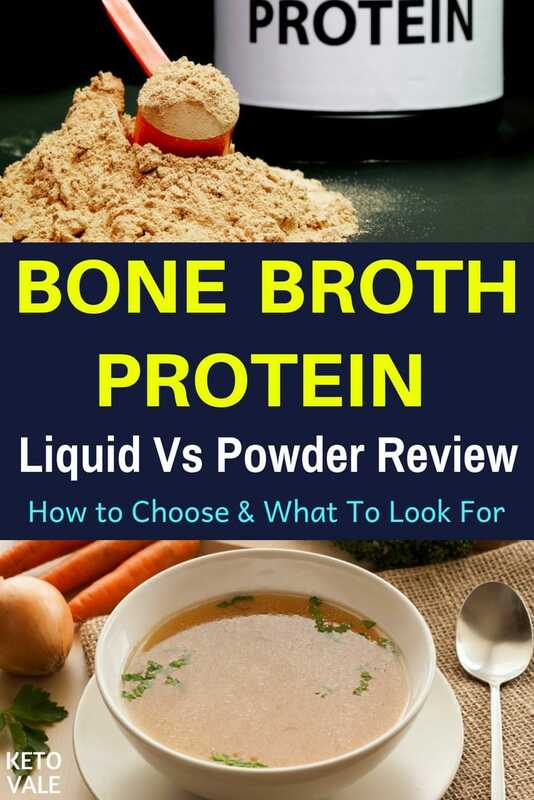 Bone Broth Liquid vs Concentrate vs Protein Powder - What's the Difference? Making bone broth has been an age-old ritual worldwide. You can create it by simmering bones and connective tissues from chicken, beef, turkey, fish, and other animals. Increased nutrient consumption: Bone broth is an excellent source of amino acids, vitamins, minerals, collagen, gelatin, healthy fats, and glycosaminoglycans. 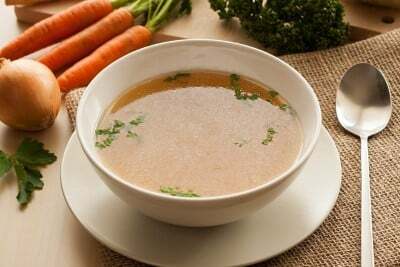 Aided weight loss: Bone broth is low in calories and high in protein, which helps you obtain and maintain healthy body weight by boosting metabolism and reducing appetite (1, 2). Reduced appetite: The high protein content of bone broth reduces your appetite by raising your fullness hormones, such as GLP-1 and PYY while lowering the hunger hormone, ghrelin (3, 4, 5). Stronger bones: Bone broth is an excellent source of natural collagen, which is one of the main building blocks needed to form and maintain healthy bones (6). Improved joint health: Bone broth is loaded with glucosamine and chondroitin, which may reduce joint pain for those with osteoarthritis (7). Enhanced gut health: Research published in Clinical and Experimental Gastroenterology found that gelatin, which is naturally found in bone broth, supports intestinal integrity and health (8). Healthier skin: A double-blind, placebo-controlled study involving 69 women found that four weeks of 2.5 to 5 grams of collagen hydrolysate (CH) supplementation daily – a compound naturally found in bone broth – significantly increased skin moisture and evaporation compared to a placebo (9). And many more life-enhancing benefits. It’s simple. All you need is a stove, a large pot, water, bones, and vinegar. Mix the ingredients and boil the brew for six to twenty-four hours. This will create a nutritious liquid that you can consume on its own or use for a variety of culinary purposes, such as making soups and sauces. To increase the taste and nutritional value of bone broth, you can add vegetables and spices, such as onions, celery, garlic, parsley, salt, and pepper. Sounds simple, right? And it is. But there’s one problem: making bone broth can be a time-daunting task. The difficulty is not only preparing it but also the hours it takes to let the mixture simmer. ​Fortunately, you can save a lot of time while still enjoying the life-enhancing benefits of bone broth by consuming it in supplement form. Bone broth supplements come in three main forms. Bone broth supplements come in three main forms. They all have their unique pros and cons, and the best one for you depends on your situation, needs, and preferences. Let’s look closer at each of them. This is bone broth that’s dehydrated and turned into a powder. You can use it by mixing it with water, juice, nut milk, or another liquid. It’s convenient, easy to travel with, and generally less expensive than bone broth liquids and concentrates. The downsides, however, is that some manufacturers use very high temperatures to turn the broth into a powder, which can degenerate its proteins and nutrients. Besides, due to a lack of quality control, you're not always sure what you'll be getting with bone broth protein powder. Fortunately, there are legit and high-quality options available, which we'll cover below. If you're on keto diet, bone broth powder can be a good type of low carb protein powder to try. This is a home-made bone broth that’s been processed into a paste. Just add boiling water to it and you’ll have a bone broth that’s ready for consumption. Bone broth concentrate is convenient, minimally processed, and nearly identical to a traditional broth. The downside, however, is that there’s a lack of quality control among makers of bone broth concentrates. For this reason, the quality between products varies tremendously. 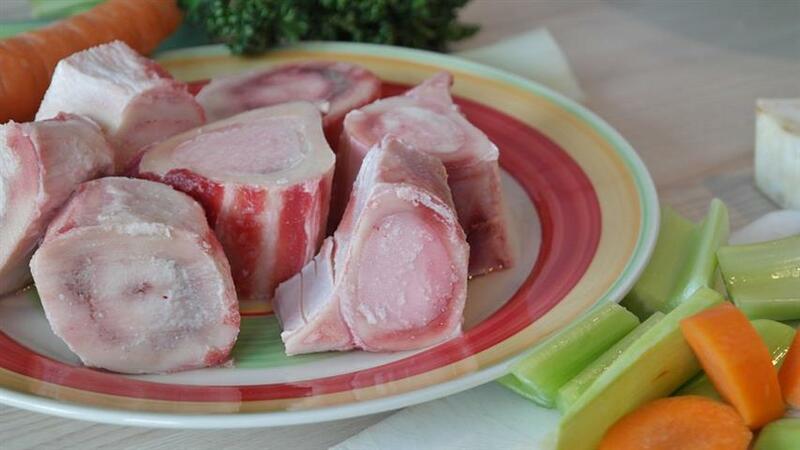 ​This is the "real" bone broth that's ready to be consumed immediately. Since it’s identical to what you’d get if you were to make bone broth yourself, it’s ideal for those who want bone broth in its most natural form without having to worry about preparing it. The downside, however, is that it's generally more expensive compared to alternative bone broth supplements. Besides, the quality between products varies tremendously. There are many bone broth supplements on the market. The one that’s best for you depends on your needs, situation, and preferences. One key difference between products you should consider is from what kind of bones it’s derived. The two most popular options – and generally the most cost-efficient and beneficial ones – are broths made from bovine and chicken bones. The upside of chicken broth is that it scores the highest in protein. This makes it an excellent option for those who have problems reaching their daily protein needs and for those who want to use bone broth to curb hunger and aid in weight loss. Chicken broth is also easier to digest, making it a superior choice for those with a compromised gut. (Think people with IBS, GERD, etc.) And chicken broth contains more type II collagen, which benefits joint, skin, and gut health. Beef broth, on the other hand, scores higher in gelatin and essential minerals, such as magnesium, calcium, sulfur, and phosphorus. This is because bovine bones are thicker and contain more marrow. Beef broth also contains fewer omega-6 fatty acids, which is a good thing because most of us already over-consume those. Besides, beef broth has a heartier and richer flavor, which, depending on your taste preference, is either a pro or a con. Now, if you’re looking for a high-quality bone broth supplement to boost your health and well-being, then there are four products you should consider. 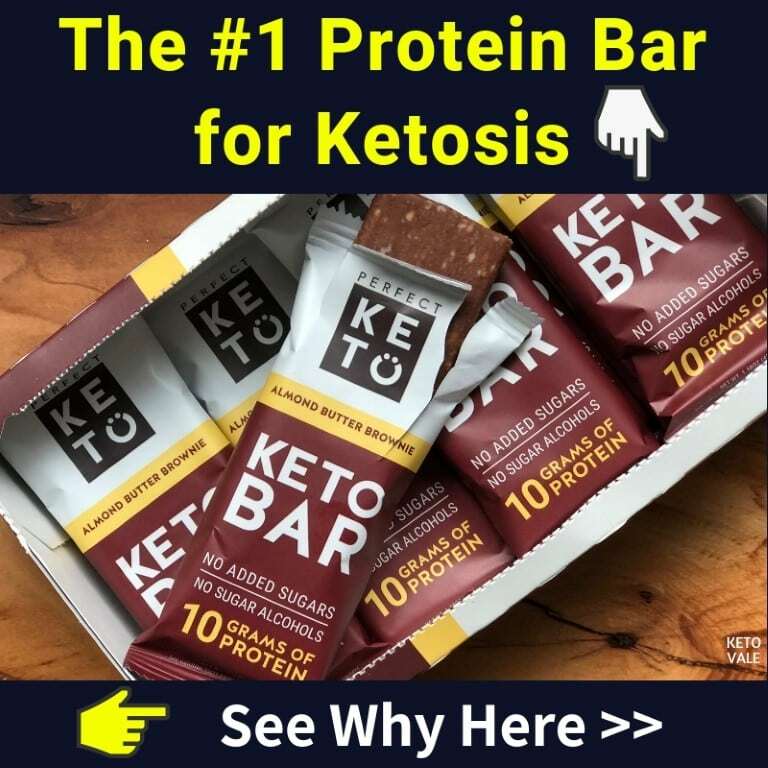 They're all keto-friendly, and quality wise, they stand head-and-shoulders above their competitors. Let’s look closer at each of them. When it comes to bone broth liquid supplements, this one by Kettle & Fire is by far the best on the market. It’s made with 100% organic and grass-fed bones that are slowly simmered for 20 to 24 hours at 130 degrees Fahrenheit. This is enough time for the collagen, marrow, and amino acids to extract into the broth so that you can get the most nutrients from this delicious product. It’s free of gluten, GMO, soy, and dairy. It’s made with non-GMO ingredients and organic vegetables. And the company is reputable and well-regarded. It’s no wonder why health thought leaders such as Ben Greenfield, Dr. Sarah Ballantyne, and Abel James swear by this nutrient-loaded product. If you're new to bone broth, Kettle & Fire recommends that you drink 4 to 8 ounces a day, at least three times per week. 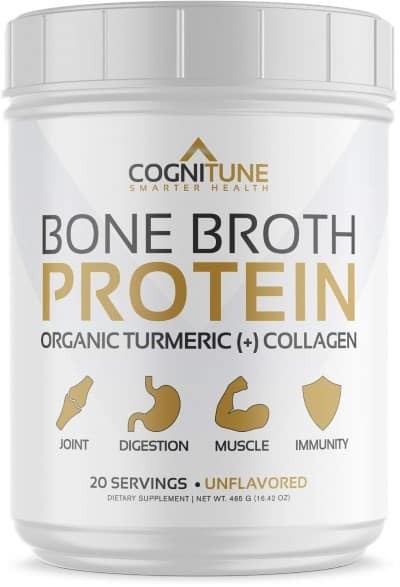 CogniTune’s bone broth protein powder is made from high-quality beef and contains added collagen peptides. The latter benefits your digestion and supports joint, bone, and skin health. It’s also loaded with the potent anti-inflammatory agent turmeric. Curcumin, the active ingredient of turmeric, can ease aging-related congestive decline, aid cardiovascular health, and possibly protect against certain forms of cancer. CogniTune’s bone broth is also formulated in an FDA Registered facility according to Good Manufacturing Practice (GMP) standards. Each bottle is free of gluten, GMOs, and soy. And they’ll back the supplement with a 100% money-back guarantee so you can try the product risk-free and judge it for yourself. Add one heaping scoop to water, juice, smoothies, protein shakes, or another liquid and mix it well. CogniTune recommends that you drink multiple servings throughout the day for optimal health-enhancing benefits. 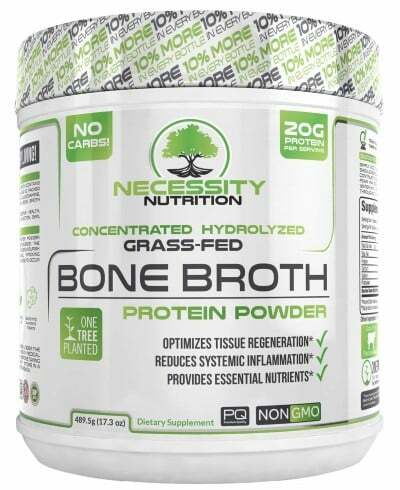 If you’re on a budget and looking for an inexpensive bone broth supplement without skimping on quality, then go for this product by Necessity Nutrition. 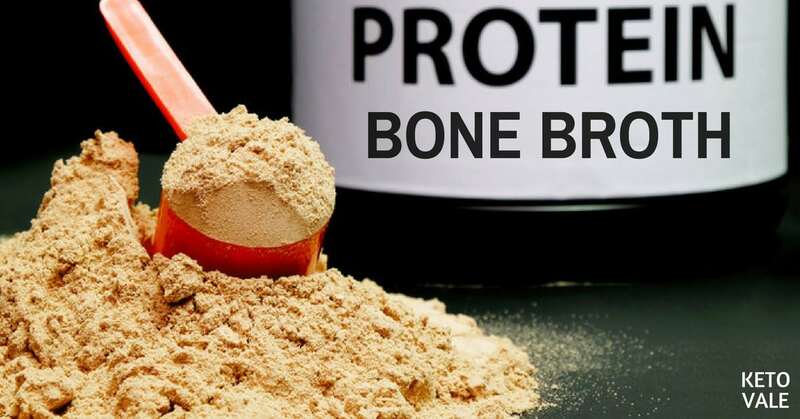 It’s the most affordable option on this list based on its price-per-ounce, and it contains solely bone broth protein from bovine sources, which makes it a pure powder. The manufacturers are so confident that you’ll enjoy their product that they back it with an unconditional money-back guarantee. So if for any reason or no reason at all, you’re not 100% satisfied with the product, they’ll refund your money. That means you can try their product risk-free. Add one heaping scoop to water, juice, smoothies, protein shakes, or another liquid and mix it well. "This can be enjoyed several times throughout the day for optimal nourishment," says Necessity Nutrition. 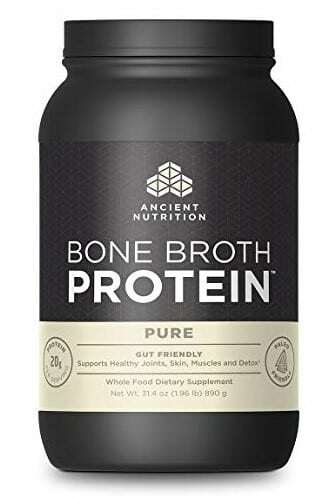 Ancient Nutrition, which was founded by Dr. Josh Axe and Jordan Rubin, is the only bone broth product on this list that's derived from chicken. It’s an excellent option for those who have gut issues and those looking for a protein-rich product. It mixes well with all liquids. It’s free of gluten, dairy, and soy. And the manufacturers back it with a 100% satisfaction guarantee so that you can experience the life-enhancing benefits risk-free. Mix one heaping scoop in 12 ounces of water, juice, smoothies, protein shakes, or another liquid and consume between one and three servings daily. Where to bye: ​Shop Now! Bone broth is NOT one of the latest food fads. It’s a worldwide and time-honored tradition that provides many benefits, including aiding joint, gut, and bone health, supporting weight loss efforts, and decreasing inflammation. But let's be honest; do you have the time and patience to create this nutritious liquid yourself? If not, the solution is taking a bone broth supplement as it’s a struggle-free way to experiencing bone broths’ life-enhancing benefits. 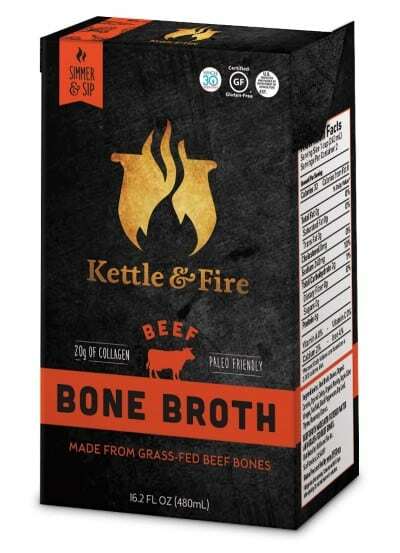 While the best bone broth product depends on your situation, needs, and preferences, generally speaking, there’s one option that stands head-and-shoulders above its competitors: the beef bone broth by Kettle & Fire. And it’s made from 100% organic and grass-fed animal bones that are slowly simmered for 20 to 24 hours at 130 degrees Fahrenheit, meaning you'll get the most nutrients you can from this delicious product. There’s a reason why health thought leaders such as Ben Greenfield, Dr. Sarah Ballantyne, and Abel James swear by this product. And if you want to upgrade your health and well-being, then we highly recommend giving it a try now by clicking the button below. You’ll be glad you did! Enjoy this guide? Save to your Pinterest for later reference!